Do I need a Retaining Wall in my yard? Many Maryland homeowners have yards that they cannot utilize due to steep slopes or uneven grades. 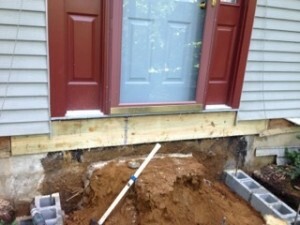 Some problems may also be due to washed out or eroded areas that just cannot support new plantings or grass. Retaining walls are a great way to correct those issues and create a whole new usable outdoor space. 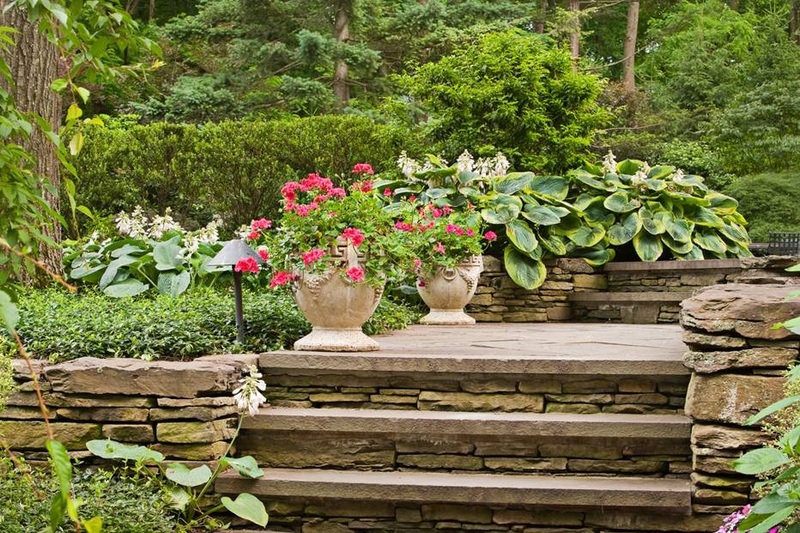 There are many types and styles of retaining walls that can be constructed to meet the homeowner’s needs. A retaining wall is a stabilizing structure used to hold sloping ground in place and to prevent the erosion and the movement of soil. It must be substantial and sturdy enough to accommodate and redistribute the lateral pressure caused by sloping ground. 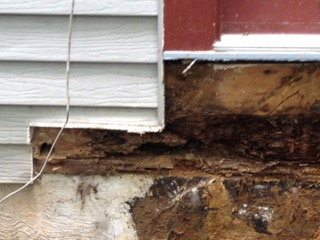 It is normally designed with weep holes, which allow collected ground water to escape. 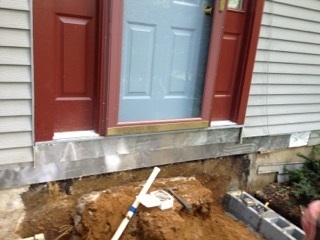 This releases the additional pressure created by accumulated water and helps keep the wall stable. 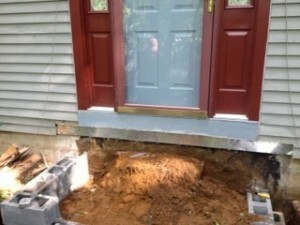 Retaining walls can be a creative way to support new soils used to level a backyard area or hold back an area that is excavated out to create a patio or driveway extension. Retaining walls can also have dual or multiple uses. 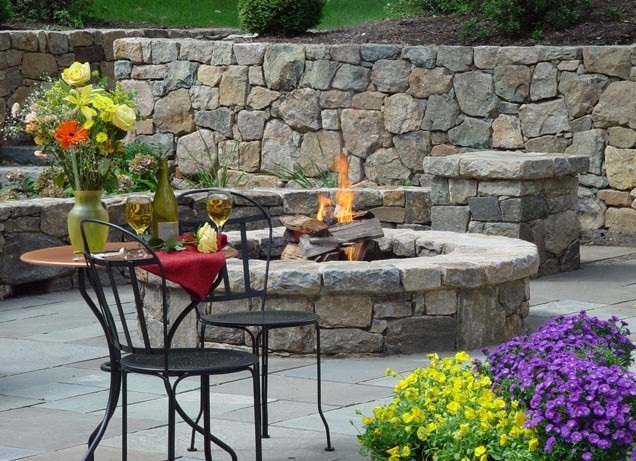 These walls work great for creating extra seating around patios or incorporate landscape features such as fire pits or built-in outdoor grills. 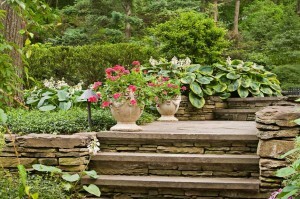 Low walls can also create unique borders for an elevated landscape area or garden. Elevated patios that are built using a retaining wall system can develop into a stunning multi-level patio system with different elevations to create several different outdoor rooms all within one landscape. Many erosion and drainage issues can also be solved with a retaining wall system. These systems can be used to reduce the slope and help develop a sustainable growing environment. 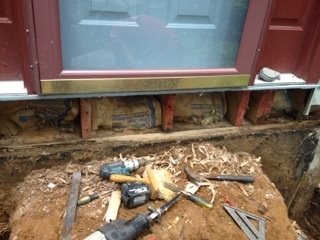 Some of the walls can also be constructed to channel, divert, or collect storm water. After the water is controlled, the walls will direct the flow of the run-off and work with support systems like catch basins, or county storm water collection ponds. Winter is almost here but KW Landscaping is still working hard to make your backyard the space of your dreams. KW Landscaping will be taking on new outdoor construction projects, such as retaining walls, patios, fire pits and decks, to create your outdoor paradise. 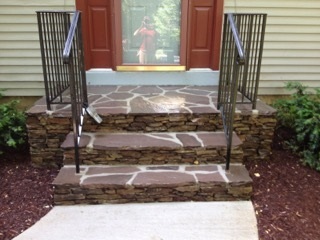 Email KW Landscaping for more information or a custom quote.